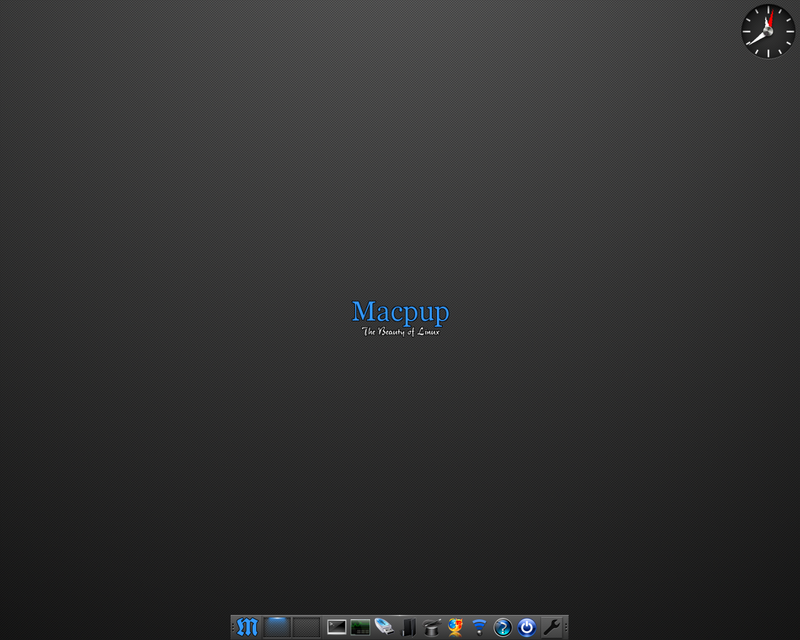 Macpup was a minimalist desktop Linux distribution based on Puppy Linux. 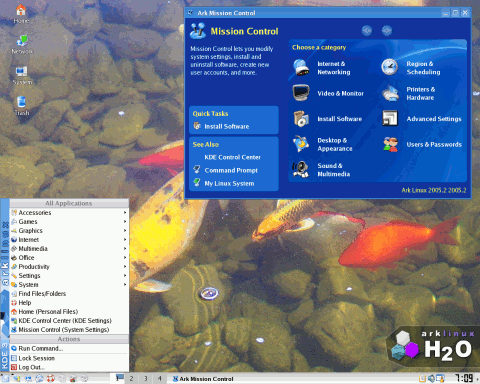 It uses Enlightenment as the default window manager and provides a user interface resembling that of Apple's Mac OS X. Rate this project Bernhard Rosenkraenzer has announced the release of Ark Linux 2008.1, an easy-to-use desktop Linux distribution with KDE and a selection of highly up-to-date applications: "The Ark Linux team is pleased to announce the immediate availability of Ark Linux 2008.1, a new version of its easy-to-use, easy-to-learn operating system. Contrary to our original plan for this release, we have decided to make one more release based on KDE 3.x, to provide a stable state-of-art system that fixes all known problems with earlier versions before the big move to KDE 4.x. Major changes from the last release include updates to KDE 3.5.9, kernel 2.6.25.3, glibc 2.8 and wine 1.0-rc1, building everything with GCC 4.3 for improved performance, greatly extended hardware support, and the addition of Gnash, a free player for Flash animations." Here is the brief release announcement. Download (MD5) the live or installation CD image from here: arklinux-2008.1.iso (694MB), arklinux-live-2008.1.iso (601MB). Rate this project Ark Linux 2007.1 has been released: "The Ark Linux team is pleased to announce the immediate availability of Ark Linux 2007.1, the latest version of its multi-purpose desktop operating system. 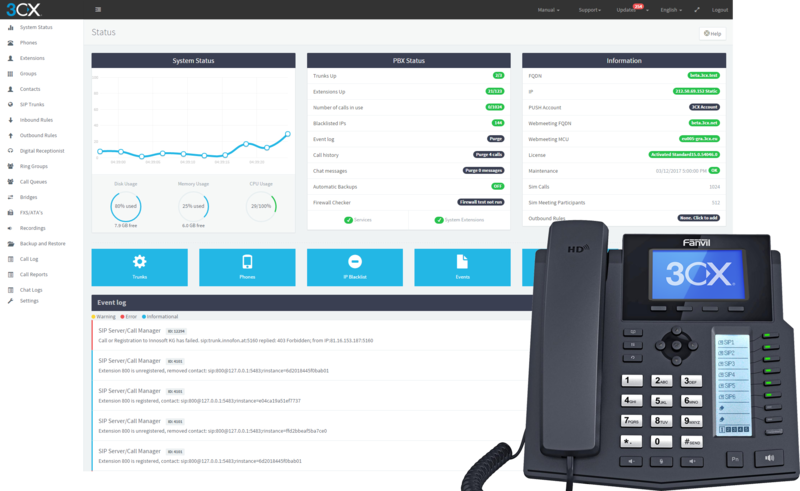 Ark Linux can be used for office/school work, desktop publishing, graphics, multimedia entertainment, editing, gaming, software development, and more. There have been many changes since the 2006.1 release - all components have been updated to current versions. For example, Ark Linux 2007.1 includes the KDE 3.5.7 desktop, the OpenOffice.org 2.2.1 office suite and the Amarok music player 1.4.7. It also includes the latest underlying technologies such as Linux kernel 2.6.22.3, glibc 2.6.1, and has been built completely with GCC 4.2.1, resulting in a faster system and quicker response times." See the full release announcement for further details. Download (MD5) the installation or live CD image: arklinux-2007.1.iso (699MB), arklinux-live-2007.1.iso (642MB). Rate this project The Ark Linux team is pleased to announce the immediate availability of Ark Linux 2007.1-rc1: "There have been many changes since the previous 2006.1 release - all components have been updated to current versions (for example, Ark Linux 2007.1-rc1 includes KDE 3.5.7, OpenOffice.org 2.2.1, Linux 2.6.22-rc6, glibc 2.6, and has been built completely with gcc 4.2), hardware detection has been improved, many new drivers are included, and many additional applications and games have been added to our software repository." Find more in the official release announcement. Download the installation and live CDs (MD5): arklinux-2007.1-rc1.iso (694MB, available via BitTorrent), arklinux-live-2007.1-rc1.iso (636MB, also available via BitTorrent). Rate this project The Ark Linux team is pleased to announce the immediate availability of Ark Linux 2006.1: "There have been numerous changes since the last release. Highlights include KDE 3.5.4, the current version of X.Org and amaroK 1.4.1, and a new tool, "rpmhandler", that makes installing 3rd party packages easier than ever -- and we've fixed numerous bugs, especially in the Live version." Find more on the project's website. Download the installation or live CD from here (MD5): arklinux-2006.1.iso (698MB), arklinux-live-2006.1.iso (668MB, also available via BitTorrent). Rate this project Bernhard Rosenkraenzer has announced the second release candidate for Ark Linux 2006.1: "The Ark Linux team is pleased to announce the immediate availability of Ark Linux 2006.1-rc2 and Ark Linux Live 2006.1-rc2. This is the last release candidate of Ark Linux 2006.1, which will be released as soon as OpenOffice.org 2.0.3 and kernel 2.6.17 are released and integrated. The current release candidate includes pre-release versions of those. There have been numerous changes since the first release candidate. Highlights include KDE 3.5.3, X.Org 7.1 and amaroK 1.4.0a - and we've fixed numerous bugs." Read the rest of the release announcement for a complete list of major changes. Download the installation or live CD from here (MD5): arklinux-2006.1-rc2.iso (701MB), arklinux-live-2006.1-rc2.iso (668MB). Rate this project Bernhard Rosenkraenzer has announced the first alpha release of Ark Linux Live, a new live CD designed primarily for recovery and demonstration purposes: "The Ark Linux team is pleased to announce the release of a first version of Ark Linux Live, a Live CD edition of the Ark Linux operating system. Ark Linux Live is designed to be as close to the 'normal' version of Ark Linux as possible - and is built from the same source code. There are a couple of known problems with this CD image, most notably non-English languages do not work in non-KDE applications, and the kernel spews some [harmless but dangerous looking] error messages at boot-up." Find more information in the release announcement. Download: arklinux-live.iso (650MB), also available via BitTorrent. Rate this project The first release candidate of Ark Linux 2006.1 is now available for download: "The Ark Linux team is pleased to announce the release of Ark Linux Home 2006.1-rc1 - the first (and, unless major problems turn up, last) release candidate of Ark Linux Home 2006.1. Ark Linux Home 2006.1-rc1 includes the latest developments of the Linux desktop world, such as KDE 3.5.1, OpenOffice.org 2.0.2, amaroK 1.4 beta 2, Kopete 0.12 beta 1, X.Org 7.0, GCC 4.1, and glibc 2.4. In addition to updating the underlying technologies, we have improved hardware support - to our knowledge, Ark Linux Home 2006.1-rc1 is the first free Linux distribution to support 3D acceleration on ATI PCI Express cards...." Here is the full release announcement. Download: arklinux-2006.1-rc1.iso (678MB, MD5). Rate this project A development snapshot of the upcoming Ark Linux 2006.1 has been released for download and testing: "A new development snapshot of the soon-to-be Ark Linux 2006.1 is ready for testing. This release differs from Ark Linux 2005.2 mostly in the underlying technology (such as upgrades to X.Org 7.0, KDE 3.5.1, glibc 2.3.90 and GCC 4.1-svn), numerous bug fixes, and improved hardware support (most notably, many ATI PCI Express cards now support 3D acceleration out of the box. The snapshot can be found in the dockyard-devel/iso directory of your favorite Ark Linux mirror. Please give it some testing and report bugs before we call it 2006.1." Here is the complete release announcement. Download: arklinux.iso (680MB, MD5). 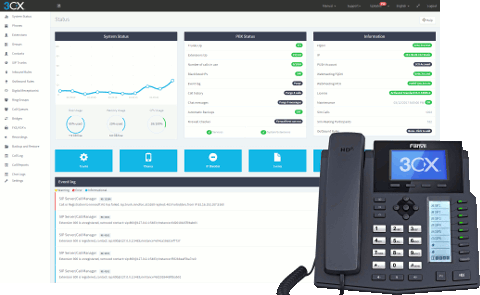 Rate this project A new major version of Ark Linux, an easy-to-use distribution designed for non-technical users, was released today: "The Ark Linux team is pleased to announce the release of Ark Linux 2005.2. The highlights of this release include: an upgrade to the KDE 3.5 desktop; OpenOffice.org has been upgraded to version 2.0; 3D acceleration on ATI Radeon 9600 and 9800 based hardware is now supported; handling of auto running inserted CDs and DVDs has been improved; hardware support has been improved; unsupported PCI / wireless network cards can now automatically be configured to use a Windows XP driver through the Ndiswrapper emulation layer; some USB printers are configured fully automatically...." More details are available in the long press release. Download: arklinux-2005.2.iso (686MB, MD5); also available via BitTorrent. Rate this project The third release candidate of Ark Linux is now ready for testing: "Ark Linux 2005.2-rc3 has been released today. On popular request, we've upgraded to a KDE 3.5 prerelease, and will release 2005.2 final with KDE 3.5 final as soon as the new KDE is released. An extra highlight for developers is the addition of a compiler for the D programming language. Other notable news include: installation will no longer cause 'Out of sync' errors on LCD displays attached to SiS graphics chips; some not very commonly used kernel modules have been split into separate packages, causing the base install to use far less diskspace without losing functionality; a long-standing bug causing the spellcheckers not to work has been fixed." The full release announcement. Download from here: arklinux-2005.2-rc3.iso (674MB, MD5); available also via BitTorrent. Rate this project The second release candidate of Ark Linux 2005.2 is now ready for download and testing: "Ark Linux 2005.2-rc2 has been released, fixing a number of bugs found in 2005.2-rc1 and adding a couple of commonly requested features. Important bugs fixed: pre-Cardbus PCMCIA cards are working again; NFS server support has been fixed; various bugs in coldplug's VGA card detection code have been fixed. Important feature additions: real USB printer hotplugging - if you plug in a USB printer that is present in the hardware database, it will 'just work' and show up in the print dialog; added a GUI for handling unsupported PCI cards, easing the installation of new drivers and, in the case of wireless network cards, installation of Windows drivers through Ndiswrapper emulation...." Here is the full release announcement. Download: arklinux-2005.2-rc2.iso (691MB); also available via BitTorrent. Rate this project This is the first release candidate of Ark Linux 2005.2, an independently developed beginner-friendly distribution: "The first release candidate of Ark Linux 2005.2 is available for download. Highlights of this release include OpenOffice.org 2.0-m122, KDE 3.4.2, 3D acceleration support for ATI Radeon 9600, 9700 and 9800 based graphics cards (using 100% open source software), Krita being the new default picture editor (GIMP continues to be available on the Extra Software CD and in the apt repositories), and the addition of an expert partitioning mode in the installer. Please let us know quickly if you run into any problems with this release candidate." Here is the full release announcement. Download: arklinux-2005.2-rc1.iso (691MB, MD5). The usual set of extra, server and development CDs are also available. Rate this project This is a bug fix release of Ark Linux 2005.1: "Ark Linux 2005.1-SR1, a bugfix release of Ark Linux 2005.1, has been released. Mostly due to our lack of test hardware and testers, a couple of bugs worth fixing immediately managed to get into Ark Linux 2005.1 - based on user feedback, we have made a Service Release to address them and add some commonly requested features. ... The following features have been added: newly installed machines automatically retrieve network settings from DHCP servers (if there is one); DHCP enabled network interfaces no longer delay the boot up process if no DHCP server is found; support for Zeroconf support has been added; the X.Org Composite extension, allowing to use real transparent windows, is now enabled...." See the release announcement for further details. Download: arklinux-2005.1-SR1.iso (668MB). Rate this project The first ever stable version of Ark Linux has been released: "After 3 years of development and testing, the first stable release of Ark Linux - Ark Linux 2005.1 - has been released. The goal of Ark Linux is to build the easiest-to-use Linux distribution for people converting from That Other Operating System, while keeping it technically sane. Ark Linux 2005.1 is built around the latest desktop technologies, including KDE 3.4, OpenOffice.org 1.1.4 (a preview of 2.0 is also available on the Ark Extra Software CD), glibc 2.3.4, X.Org 6.8.2, and kernel 2.6.11. The base install CD of Ark Linux contains everything the average desktop user will need." Find more details in the release announcement. Download: arklinux.iso (668MB). Ark Linux, a project led by ex-Red Hat's Bernhard "Bero" RosenkrÃ€nzer, is an independently developed distribution designed for Linux beginners. Rate this project A new development build of Ark Linux is out: "Ark Linux Alpha 12 is released and available for download." We haven't been able to locate a changelog or find out what's new in the release (update: the release notes are here), but you can read the announcement on the home page of Ark Linux. Most of the Ark Linux mirrors have yet to synchronise with the main download server; in the meantime you can obtain the latest ISO from here: arklinux.iso (659MB). Additional ISO images with extra software, extra languages and server software, as well as source code, are also available and existing Ark Linux installations can be updated via apt-get. In case you haven't heard of Ark Linux, it is a GNU/Linux distribution designed especially for desktop use, primarily for people without prior Linux experience. Rate this project A new development version of Ark Linux has been released. From the release notes: "KDE (the graphical user interface) has been updated to 3.2.1, introducing many changes and usability improvements, in particular to the mail program. 3D acceleration support for the VIA CLE266 graphics chipset has been added. OpenOffice.org packaging has been redone; the new package is smaller because it avoids redundancy, and language switching has been fixed. Furthermore, German thesaurus and spelling dictionaries have been added..." Download: arklinux-1.0-alpha11.iso (695MB). Rate this project DesktopOS.com has published an interview with Zackary Deems and Bernhard Rosenkraenzer of Ark Linux: "We're using the 'traditional' definition of 'Alpha' and 'Beta' -- meaning 'Alpha' means we're not yet feature complete. We'll go to 'Beta' when we have all the features we want in the 1.0 release - 3 primary points are moving to kernel 2.6.x (which is already available in our software repository, but not yet as the default kernel), adding an advanced mode to the installer (we'll always retain a simple 4-click installation -- but we'll also provide a more customizable variant for people who know what they're doing), and documentation. Alpha 11 will be released really soon now." The full interview. Rate this project OSNews has published a review of the latest version of Ark Linux: "To sum up, Ark has a very smooth installer, an excellent control panel set up, an easy software management system and an array of programs that covers all the basic computing needs and a few not-so-basic needs. KDE is well configured, speedy and looks as good as any other KDE I've seen. The few negatives I encountered -- the sound problem, the misidentified USB drive and the kernel-upgrade mouse failure -- are understandable in an alpha-branded release and would seem to be problems the Ark team could fix before declaring the distribution ready for release." The 2-page review with screenshots starts here. Rate this project ExtremeTech has reviewed the latest development version of Ark Linux: "Despite being labelled an alpha, Ark Linux is one amazing little distro. It's got an easy install, a very attractive KDE-based desktop, and an excellent control panel. It's just plain fun to use! Even Linux novices should be able to get rolling with Ark's desktop after a minimal amount of adjustment time. If you're in the market for an easy-to-use distro and you don't want to pay for a commercial package like Xandros or Lindows, be sure to download Ark. Even though it's billed as an alpha, it's already a great product providing a very viable Linux desktop. At the very least, it's certainly worth a download and a CD burn. Most likely, you'll be pleasantly surprised. We sure were." The review starts here. Rate this project TuxReports has published an interesting report detailing experiences with a distribution switch - from Libranet to Ark Linux: "For all intent and purposes, this experiment was a success. I'm invigorated for the first time in months to try out new software and to tinker with some of KDE's unique features. In fact, I'd recommend all Linux users attempt a similar experiment so that they can experience different applications and distributions. However, for me personally, I've now expanded my personal preferences for applications and can more easily recognize the differences from one distribution to another. I would not recommend, though, making this transition until after you have verified good backups. Remember to have fun and for goodness sakes, don't try this on a machine you can't live without." The full story. Rate this project Tectonic takes a brief tour of the forthcoming Ark Linux version 1.0: "As a convert from the Microsoft school it becomes difficult to avoid making direct comparisons between the gamut of Linux distributions and Windows. But Ark Linux comes up trumps for its good looks, which surpasses WindowsXP in many areas, and for its sweet suite of applications and genuine 'no brainer' ease of installation. I currently have Ark Linux running on 3 PCS; more than I have ever achieved with the 'mature' Linux distros. It's hard to believe Ark Linux is just an alpha release, and leaves one wondering how much better the life of a Linux user could get." The complete review with screenshots. Rate this project A new alpha version of Ark Linux is available. From the release notes of Ark Linux 1.0 Alpha 9 (1.0-0.alpha9.1): "Important updates/changes. The kernel has undergone some user visible changes: graphical bootup; ATI IGP chipsets are now supported (including 3D support); VIA EPIA-M chipsets are now supported; Broadcom 57xx series network cards are now supported; supermount-ng is now included. This allows you to insert and remove CDs and DVDs without having to worry about mounting or unmounting them (in previous releases, autorun has done a related, but not equally good job - you could not eject a CD while e.g. the directory was displayed in the file manager)..." See the rest of the release notes. Download: arklinux.iso (687MB), ark-extra-software.iso (648MB) and ark-development-suite.iso (324MB). Only the first CD is required for installation. Rate this project TuxReports has reviewed Ark Linux, version 1.0 Alpha 8.2: "This is a fantastic project. In fact, this alpha is better than some distributions claiming to be in a final release. There are the expected bugs (i.e. LISa) and the lack of a text installation (on the todo list). We believe that this will be a very powerful desktop in the near future. The bottom line is that we love this distribution. Installation, updating, and installing software was easy. Because it is an alpha product, we hesitate in recommending it for a first time user who wants to split a hard drive with a Windows partition but Linux users should be comfortable. Besides support is simply KVirc away." Read the complete review with screenshots. Rate this project Pro-Linux is featuring an exclusive interview with the developers of Ark Linux: "We have high hopes for Ark Linux. I want to see it become in time a genuine, truly credible operating system offering in its own right. Something that works. Something that provides what real people need - and want. Something that offers all people the best technology and software Open Source and Free Software can provide. Something that acts as a true testament to the superior quality and functionality that comes through Open Source development, open discussion, and open design principles. Something that acts as a foundation - a building block, for product and service offerings from others." The full interview in English and German. Rate this project The Ark Linux team has released a new set of ISO images labeled as Ark Linux 1.0-alpha8.2: "We have decided to re-release alpha 8 after finding some problems in the initial images. Changes are: In alpha8.1, the arklinux account had a blank password instead of being locked. While this does not have any ill effects in a default install, it causes security problems if you decide to enable sshd or a similar remote login application." See the rest of the release notes. Download: arklinux.iso (660MB), ark-extra-software.iso (655MB) and ark-development-suite.iso (309MB). Rate this project The developers of Ark Linux have reached a new milestone with the release of Ark Linux 1.0-alpha8. The ISO images are available from various FTP mirrors, which are slowly being populated. No release notes or readme files have been published at the time of writing, but the ISO images (only the first image is required for installation) can be downloaded from here: arklinux.iso (647MB), ark-extra-software.iso (668MB) and ark-development-suite.iso (309MB). Ark Linux is a free Linux distribution designed for non-technical users and ease-of-use is its primary objective. Rate this project Two on Ark Linux, a new desktop Linux distribution, development of which is followed with interest by many. The first one is an interview with Bernhard Rosenkraenzer, co-founder of Ark Linux by DesktopLinux: "I believe that technically, Linux has the potential to be the #1 desktop operating system - Linux is technically superior to other desktop operating systems, and is no longer hard to use." The second one is a review of the latest alpha version of Ark Linux - 1.0alpha7 by OSNews: "Ark Linux is attempting to do in a short cycle what took years for many other distributions - to be a complete distribution and solution. They are off to a great start. This version is an Alpha version, they make no bones about that. As an alpha version, you should expect certain things not to work. That said, this is a very nice piece of software for a work in progress, and could probably be used by most people as their main desktop environment." Rate this project MadPenguin reviews the newly released alpha version of Ark Linux: "All in all, I think this distro will be able to become a viable Windows alternative to would-be converts. There are a few snags in the carpet so to speak, but nothing major that can't be ironed out easily. MadPenguin.org will be watching for the final code to be released and we will look at it again. Hopefully all of the issues mentioned here are fixed by that time. If they are, I'd recommend it to my grandmother. This isn't a slam, it's a compliment. If my grandmother can use it, so can everyone else." The full review with screenshots. Rate this project The Ark Linux developers have produced a new milestone on their road to the final 1.0, as alpha7 is being uploaded to various mirrors. One of the up-to-date ones is this mirror: arklinux.iso (691MB). While you are downloading, we have a couple of interesting links for you: first the obligatory release notes, then a very interesting interview with the lead developer of Ark Linux and former Red Hat developer, Bernhard "Bero" Rosenkraenzer: "Aside from the installer, application choice, theme choice and menu layout, I believe the Ark Linux approach to local security is unique - we have written a new tool, "kapabilities", that allows to give users special privileges such as software installation. The typical scenario we're thinking of here is that user "littlekid" is allowed to install Software (games...), but not allowed to launch a file manager or shell in system administration mode." The rest of the interview by OSNews. Rate this project A new early development release of Ark Linux has been uploaded to mirrors. Version 1.0-0.alpha.6 does not come with any release notes, except a brief README file saying that "1.0-0.alpha.6 is a current (somewhat) tested version of Ark Linux" Download: arklinux.iso (698MB). Ark Linux is a new desktop Linux distribution aimed at users with little or no Linux experience. Recent coverage of the product include an article by Open for Business entitled New GNU/Linux Distribution Appears from Red Hat Veteran and a brief review by addaboy.com: "So how well does Ark Linux cater to its target audience? From my first impressions, it does a pretty good job. You can have a complete installation in three clicks."